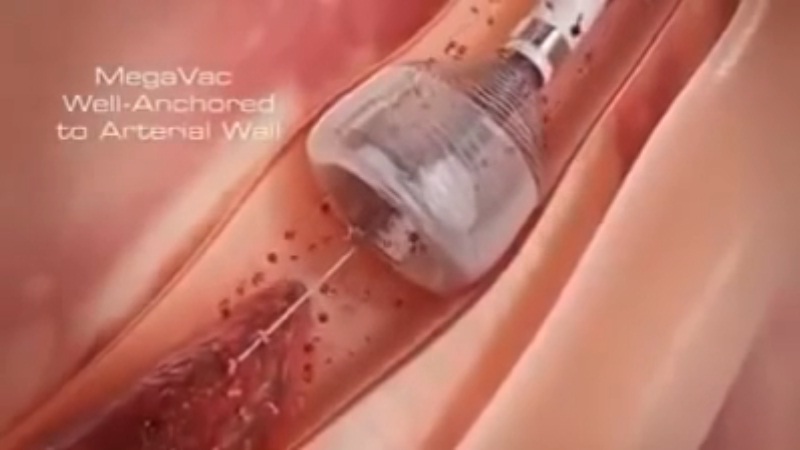 Plz see this video: New angiography method which directly removes block. Please help someone.. Who waiting for it. इस प्रकार की एंजियोग्राफी जिसके द्वारा हार्ट ब्लॉक्स डायरेक्ट निकाल दिया जाता है, *जे जे हॉस्पिटल मुम्बई और दिल्ली में उपलब्ध है. *खर्च मात्र ₹5000/-. वीडियो अवश्य देखें और कृपया जरूरतमंदों तक पहुँचाने का कष्ट करें. आपके पास जितने कॉन्टेक्ट नम्बर हैं उन्हें व समस्त ग्रुप्स को यह शुभ समाचार व वीडियो तुरन्त प्रेषित करें. महत्वपूर्ण जानकारी शेयर करने का आनन्द ही अलग होता है. A message floating on free messaging app WhatsApp and social media platforms claims to show a New Angiography Method available at Just Rs. 5000 in J J Hospital of Mumbai, India. Accordingly, the new Angiography technique described in accompanying video removes heart blocks in humans directly and prevents the chances of heart attack. The text tells readers to share the cheap medical service information and help others. No, as explained below, the claims are not true. The video in question does indeed show Dr. Bimal Chhajer, a Heart care and life style expert in India. But it shows a Natural Bypass Treatment without Surgery or Angioplasty. The Pneumatically Assisted Natural Bypass or PAN Bypass method uses machine assistance to pump physical pressure to blood inside body through a jacket and clear any heart blocks gradually over a period of 35 days. It is not a new Angiography method available at Just Rs. 5000 in J J Hospital of Mumbai. The messages circulated earlier also with another video showing graphic representation of a procedure of Angiography. Back then the Head of Cardiology Department at JJ Hospital, Dr. Narendra Bansal told Mumbai Live website mumbailive.com the message is fake. Dr. Bansal said the surgery cannot be done in mere ₹5000, adding its actual cost goes up to 40-50 thousand rupees in India. He also said the technology in the video does not exist. It appears like a concept design, which is not yet in production. Some readers who contacted the J J Hospital also learnt the message about new Angiography method at just Rs. 5000 is fake.